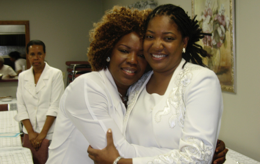 Welcome to In His Presence Family Worship Center, where the fullness of joy is. We are so glad you decided to visit our website. 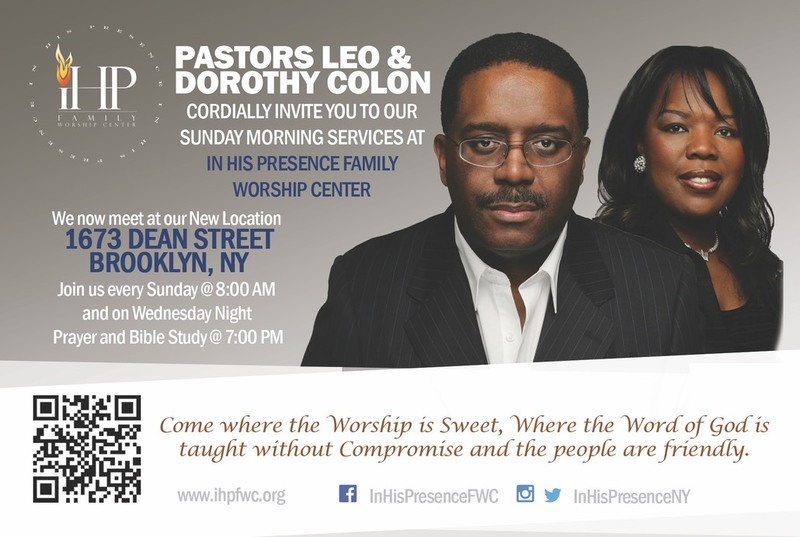 In His Presence Family Worship Center (IHP) is a non-denominational church subscribing to the Reformed Pentecostal theological position. “Reformed” because all its beliefs and doctrinal positions are taken directly from the scriptures and its certitude that the scriptures are the infallible word of God. “Pentecostal” because we have experienced the in-filling of the Holy Spirit as it is recorded in Acts 2:4. 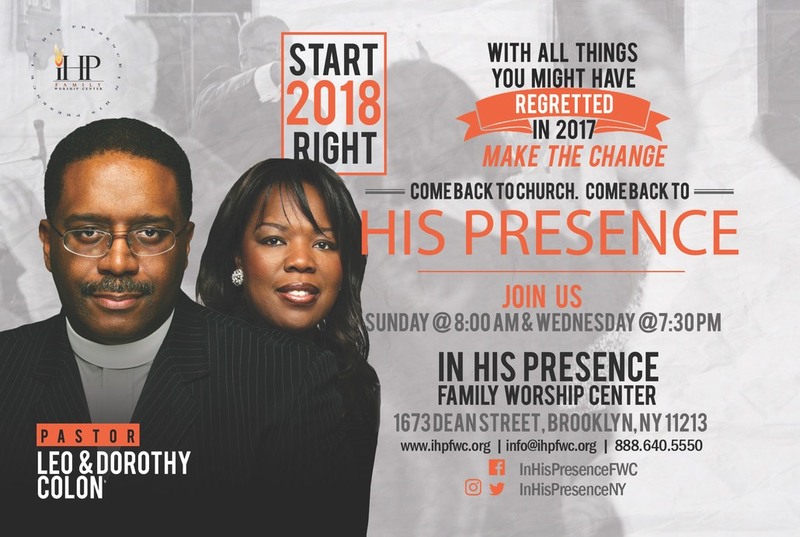 IHP is a full gospel church with a powerful pulpit. 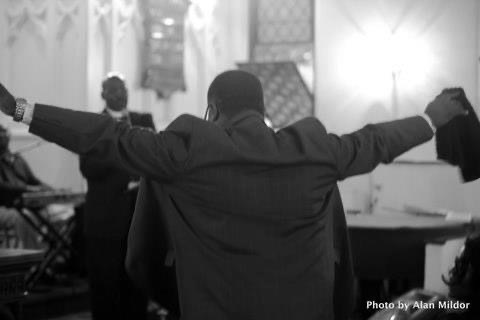 It is a church flowing in worship and praise and in the manifestations of the gifts of the Holy Spirit.